We have one opportunity to save Harrow Arts Centre from closure. With your help, we can transform this local hub of cultural activity into a 'South Bank for North London'. 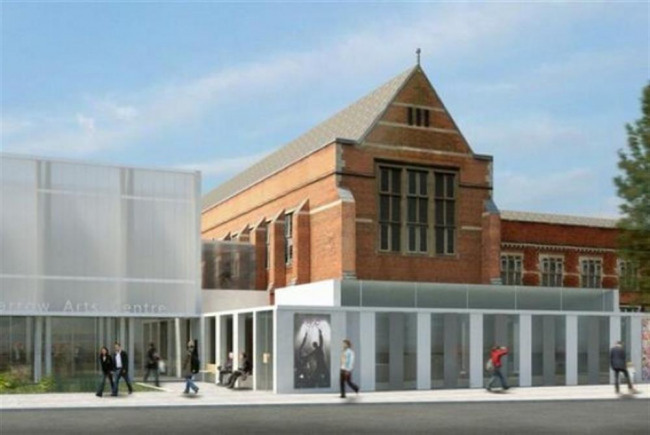 Phase 1 will build an independent cinema alongside the 100 year old Elliott Hall, providing a fantastic new programme and the income to keep Harrow Arts Centre open for the community. A gallery space would remain to support both professional and community exhibitions. Build a new theatre of 600 seats with a properly equipped stage. Build an independent cinema which will provide the income to sustain HAC. Offer spaces for current hirers and new start-ups with workshop rooms, rehearsal spaces and offices. Restore the Elliott Hall to re-connect people with its heritage and improve it as a performance space. Harrow Arts Centre has operated on the site of the Grade II Listed Elliott Hall since 1989. A dynamic programme of theatre, music, dance, comedy and family events regularly attract sell out audiences, and our learning activities deliver art, music and drama for children from babies to teenagers. The centre is a hub of cultural activity with 100s of classes, clubs and groups using the spaces here each week. But the site is hampered by an incoherent collection of old buildings which are not fit for purpose and costly to run. Cultura London has developed a masterplan to transform the site and make it financially sustainable whilst retaining the historic Elliott Hall as its centerpiece. The first phase of this plan is to build an independent cinema. Screening new, classic, live event, foreign language and arthouse films, the cinema will provide the income to sustain HAC into the future. We need your help to raise £80,000 towards the cost of fitting out the cinema. Phase one: build the cinema with new cafe for financial sustainability. This is Phase One of our project and will contribute to the fitting-out of the new cinema. There will be further phases where we will fundraise for other parts of the project as we progress. We just need your help to get started. Whoop, 250 people have pledged since fundraising began! Harrow Arts Centre has operated on the site of the Grade II Listed Elliott Hall since 1989. A dynamic programme of theatre, music, dance, comedy and family events regularly attract sell out audiences, and our learning activities deliver art, music and drama for children from babies to teenagers. The centre is a hub of cultural activity with 100s of classes, clubs and groups using the spaces here each week. But the site is hampered by an incoherent collection of old buildings which are not fit for purpose and costly to run. 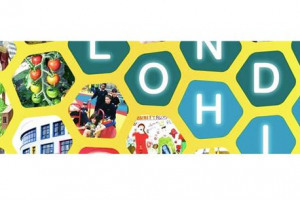 Cultura London has developed a masterplan to transform the site and make it financially sustainable whilst retaining the historic Elliott Hall as its centerpiece. The first phase of this plan is to build an independent cinema. Screening new, classic, live event, foreign language and arthouse films, the cinema will provide the income to sustain HAC into the future. We need your help to raise £100,000 towards the cost of building the cinema. Project Delivery Manager: Harrow Arts Centre The Project Delivery Manager takes legal responsibility for receiving and spending the funds raised and ensuring the project is delivered. Contractor: Cultura London The team responsible for building or installing the project.